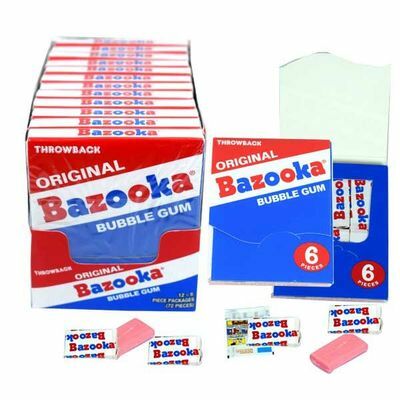 Bazooka Bubble Gum Throw Back Original. Same old style and packaging. Same original flavor we all love too. There are 12 packs per box. Each pack has 6 pieces of Bubble Gum packed inside!